Alum Paloma Connolly interviewed Kiva at Westside to discuss her experience at the school and why she’s happy to bring her child to train here too. Paloma: Tell us about your fondest memories at Westside. Kiva: I have several fond memories of Westside. One of them would be the long Saturdays spent at the studio. My peers and I would typically watch the more advanced class after ours and if it was during Nutcracker or Spring Show Rehearsals, we would walk in a big group to get lunch, laughing and leaping all the way. It felt like a family and we were very aware of the care that went into our training. The friendships I made at Westside have lasted for decades. P: That’s how I remember Westside too. Saturday walks with a big group to Starbucks down Colorado. K: A few dance films that many of us had watched at the time, like “Fame,” The Turning Point,” and the documentary, “The Children of Theatre Street,” were very much woven in the fabric of how we would dance around on the sidewalks of Santa Monica-ha! I remember a photo of some of the girls at the beach doing grande jetés, during one of the Summer Intensive Ballet beach adventures. Truly magical! I also remember when Studio 7 was a cafe called, “The Bunny Hutch.” The owner and chef made the most amazing pierogies! 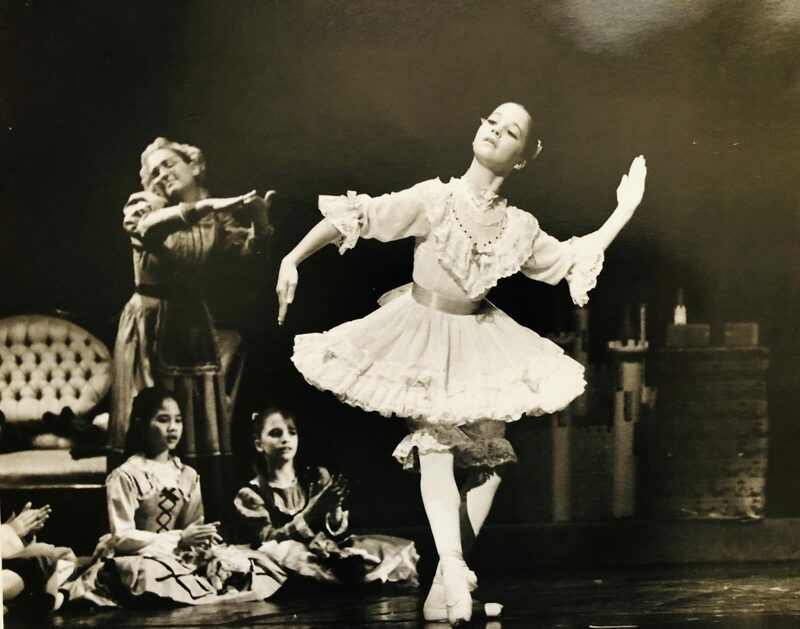 I remember getting to order them on the special dress rehearsal evenings, when they would charter a bus for the whole company during Nutcracker rehearsals. At that time we were performing at The La Mirada Civic Center, Claremont College, and El Camino College. The upper level dancers at the time very much influenced me, their style, their technique, their expressions when they performed! Most of the chartered bus trips involved someone bringing a boom box and we would listen and sing along to the current pop music of the time. I first learned how to do a trendy dance called, “The E.T,” from Aimèe Gaudio, and how to do a proper jazz walk from another Alumni, Donielle Artese. P: In what ways did these experiences at Westside impact your life? K: The experiences at Westside have had a huge impact on my life, in that, it really was and is a “home away from home.” I have heard this sentiment from many other people over several decades of Westside history. And as cliché as it may sound, “everything was beautiful at the ballet,” from “A Chorus Line.” No matter what was going on at home, which for me was a loss of both parents at different times, showing up to 1709 Stewart Street was a beacon of hope. I had somewhere to go and amazing teachers to learn from and true friends, who had their own struggles and triumphs, and somehow, we remained consistent in our need to dance through it all. Pia Guerrero, another alum, even started a Facebook group called “I was a dancer back in the day at Westside Ballet”. I believe the connectivity of Westside alums has everything to do with the leadership of Yvonne Mounsey and Rosemary Valaire. My first ballet teacher was Caprice and I am grateful she is carrying on their traditions. The memories and experiences at Westside have been at the forefront of my mind in any opportunity I have had as a professional dancer and teacher. P: Tell me about bringing your kid to Westside now. How does that feel to you? K: We were living in New York City for the past 12 years, and recently moved back to Santa Monica. My child was studying ballet at SAB and asked to continue studying, so naturally, one of our first stops was to Westside School of Ballet. It was Carol Youngjohn, who really gave my child the opportunity to flourish during the Summer Intensive Performance, and I am so grateful to her. It’s been wonderful to see that my kid is having the same experience of feeling safe, nurtured, and mentored here as I had. We are so appreciative for those who have continued on the traditions which make Westside a place that is safe for kids and adults alike to participate in exemplary training, without judgement. I also really value how at Westside so many of the children start here and study serious pre-professional ballet, while balancing their school work and manage to be stellar at so many endeavors. This is the kind of diverse community and kind of group of peers I want my child to be around.The students are respectful of one another, this generation inspires me as I see how inclusive they are of one another. There is positive mentorship happening. P: The other day I watched some of a class that you taught and you gave a combination that was exactly like a combination that I’ve given before when I taught a class. I realized it came straight from Yvonne! I hadn’t considered how much of Yvonne I’d internalized. So how do you think you have been influenced by Yvonne and Rosemary in your teaching style? K: Yes! Exactly! Take the risk. 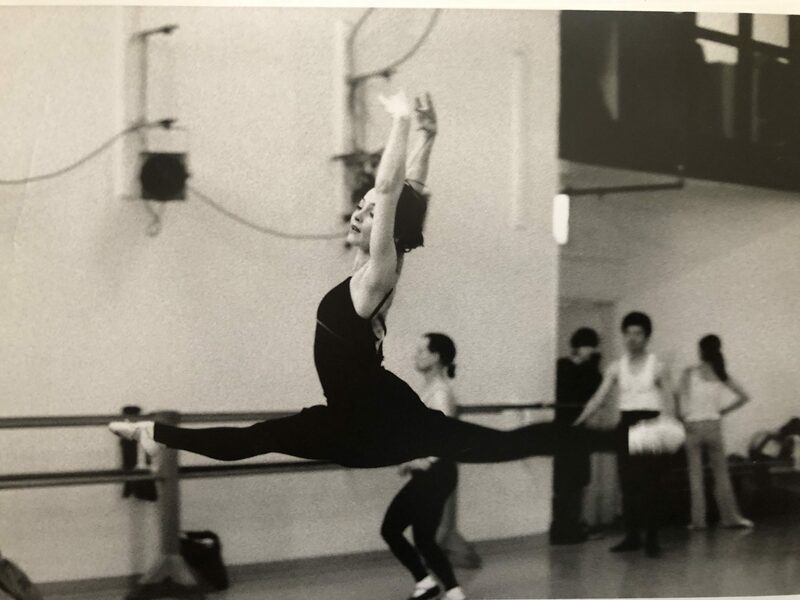 “If you can do it this far in class, you will be able to do it on stage.” I have noticed a commonality in Westside Ballet trained dancers, there is a quality in the arm and finger articulation. The expressiveness, the footwork. Hearts are open on stage. There is such a vulnerability to performing and being willing to keep trying no matter what. I know this was instilled in me through the generous hearts of Yvonne and Rosemary. They both welcomed people into their homes. I remember just staring at Yvonne’s photos and wanting to hear every story. 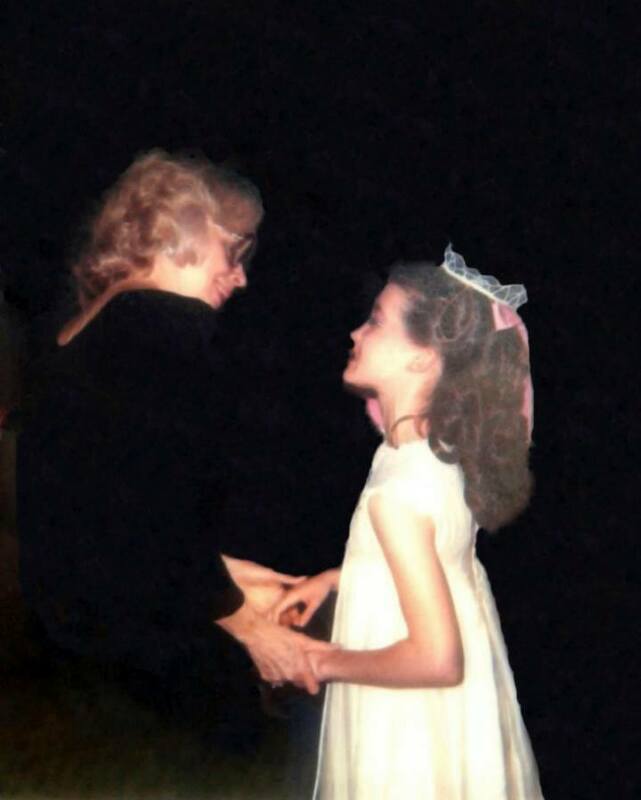 I remember one summer I brought Yvonne to tears with just a mime from Giselle I performed, even though, once when I was moved to tears at barre from the music, she tapped me on the shoulder and asked, “What are you crying about, its ballet, just take class.” Ha! The many and varied experiences that I had with both Rosemary and Yvonne have informed the woman that I’ve become today. Each of their qualities complimented the other so well and I’m so lucky to have been mentored by them. Kiva trained under Yvonne Mounsey, Rosemary Valaire, and Caprice Walker on full scholarship for 6 years at Westside School of Ballet. She was awarded a full scholarship from The School of The Pennsylvania Ballet, under Lupe Serrano, where she trained for several years. Kiva has danced and acted professionally, as a member of SAG/AFTRA, over several decades and has taught ballet, jazz and dance based group fitness classes in LA, Pennsylvania, and New York City. Alumni Association: We’d love to stay in touch! If you are an alum or parent of an alum, please fill out our Alumni Registration Form! You can stay in touch through email too. Email our alumni liaison Paloma Connolly at paloma@westsideballet.com with any photos or stories you would like to share with us.